Für das Meeting "IMCS 2018 - International Meeting on Chemical Sensors" des Veranstalters Universität Wien, Veranstaltungsmanagement. Every two years, the „International Meeting of Chemical Sensors“ gathers hundreds of scientists and thus forms the largest and most renowned conference in this scientific area. I am very happy to cordially invite you to IMCS 2018 taking place July 15-19, 2018 in Vienna. All conference sessions will be held in the main building of the University of Vienna, the oldest University in the German language territory. It is located directly at the “Ring”, the 19th-century boulevard encircling the historical center of Vienna. St. Stephen’s cathedral, the imperial castle, the art museums and many other sights are within walking distance from the conference venue, Schönbrunn castle is 20 minutes ride on the Underground. So there will be the possibility to explore the beauties of the capital of Austria in addition to enjoying world-class science. We will also do our best to include Austrian treats and specialties into the social program. 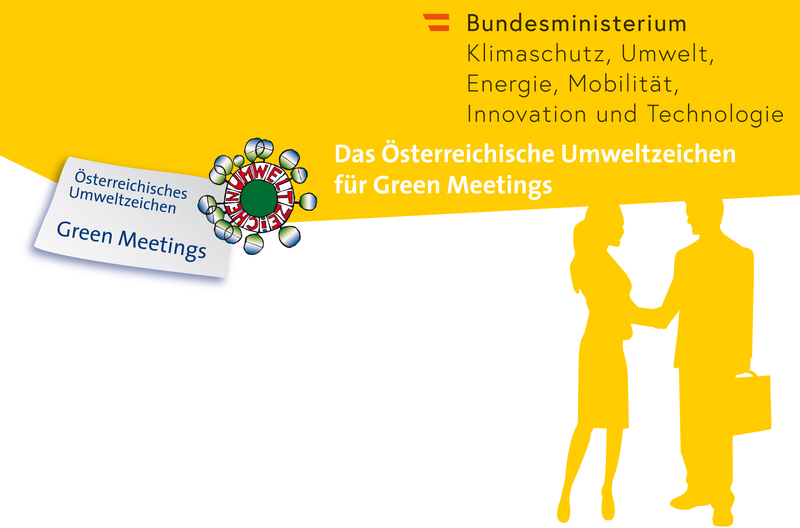 Das oben genannte "Green Meeting" wurde von Universität Wien, Veranstaltungsmanagement lizenziert und entspricht den Kriterien des Österreichischen Umweltzeichens UZ62 für "Green Meetings und Green Events".